James Campbell has the best job in the world – or the worst. The patisserie chef, currently masterminding a dessert revolution in the High Street, has tasted 140 Japanese desserts in one week, including 27 in a single day. 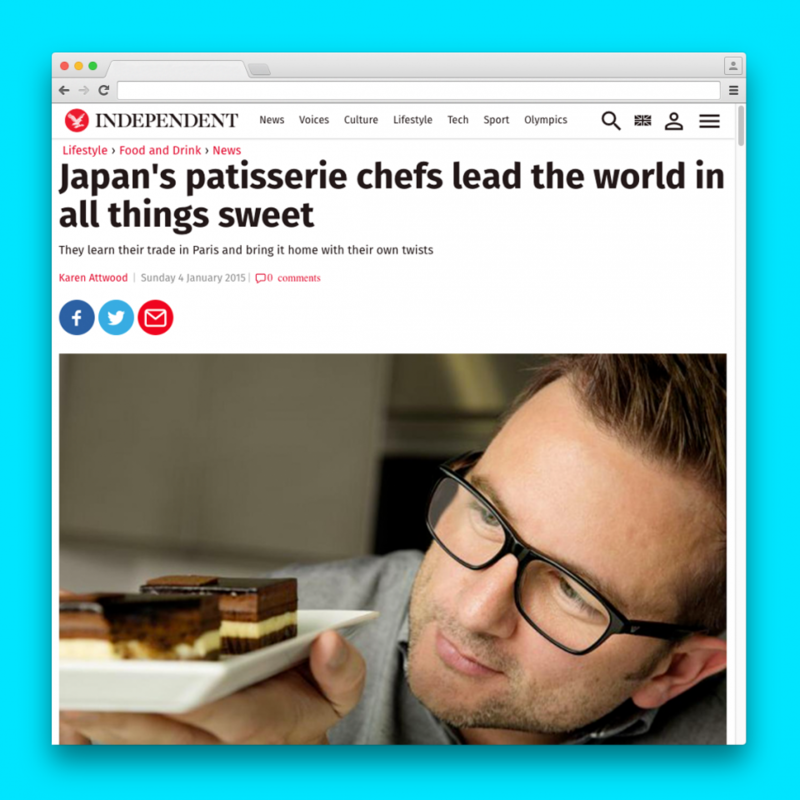 Mr Campbell is Marks & Spencer’s dessert product developer – his team was responsible for the Jaffa Sphere sell-out success – and he is in Tokyo on a trip to find inspiration for this year’s new range of puds and even “the next big trend for 2016”. Japan may seem an unusual place to come to scout for new ideas, but the country’s patisserie chefs are world leaders after learning their trade in Paris and bringing it home with their own twists. European-style patisseries can be found almost everywhere in Japan. Isetan – one of Tokyo’s most upmarket stores, has more than 30 patisserie concessions on one floor – far more than in top UK department stores. Mr Campbell, who has worked with Gary Rhodes and was head pastry chef at London’s Mandarin Oriental, has already created a stir at M&S since joining the company in 2013. The Belgian Chocolate Jaffa Sphere, dubbed Britain’s “sexiest dessert”, rapidly became M&S’s fastest selling dessert of all time with 10,000 a week being sold in the run up to Christmas. It is part of an overhaul of the range, which is bringing in patisserie style desserts for customers with more high-end tastes than ever, thanks in part to the popularity of baking programmes. “We’ve seen a massive trend for professional, patisserie style desserts, especially on TV,” says Mr Campbell. M&S’s team of developers travel the world searching for the next taste sensation. So, what can we expect to see in this year’s range, after the Japan trip? Mr Campbell can’t give away all his secrets, but there will almost certainly be yuzu and passion fruit flavours and a big focus on seasonality, which is key to Japanese cooking. “We will be launching seasonal British ingredients in our desserts including rhubarb, gooseberry and damsons,” says Campbell. Given that green tea is everywhere in Japan, including in ice-cream and even KitKat bars with pale green chocolate, I assumed we could expect green tea to crop up, but Mr Campbell says the British palette is not ready for this yet. Instead tea, whether it be green, earl grey, or various Chinese blends, will be used as perfume rather than flavour. This month, M&S is launching Matcha (green tea) and Earl Grey chocolates. Fortunately, Mr Campbell still has “a reasonably sweet tooth” and a “heightened palette”. He had to taste 50 cheesecakes when developing the latest range and on an average week can taste between 100 and 200 desserts. Before Christmas his team tasted every single Christmas dessert by every competitor over three days. Mr Campbell says he runs around 13 to 14 miles every Sunday “to keep the weight down”. The Scot, now 39, wanted to be an accountant but, after leaving school at 17, a short stint as a commis chef at the Cameron House Hotel, Loch Lomond, convinced him he could be a success in the food industry.